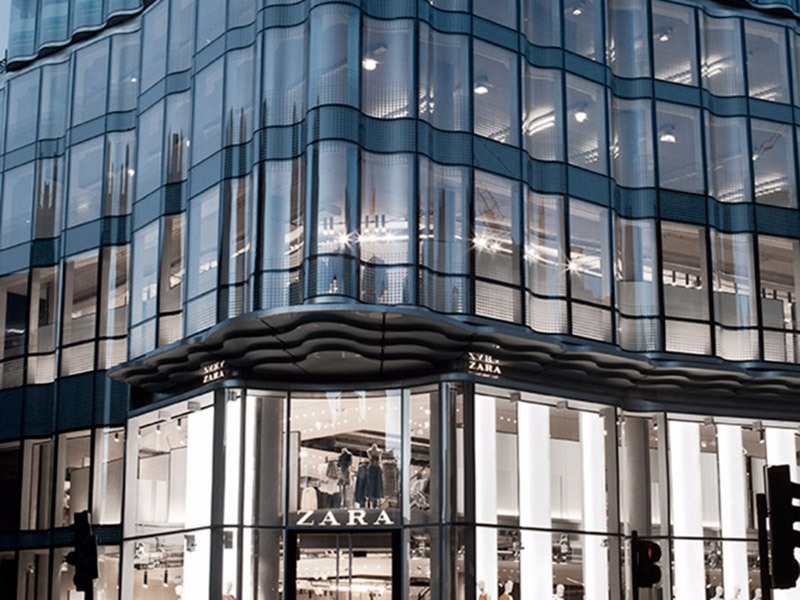 Spanish clothing and lifestyle retailer Zara has just opened a 48.000 sq ft (more than 4400 m2) new glass and concrete flagship store at 61 Oxford Street, the centre of the Mecca of London shopping. 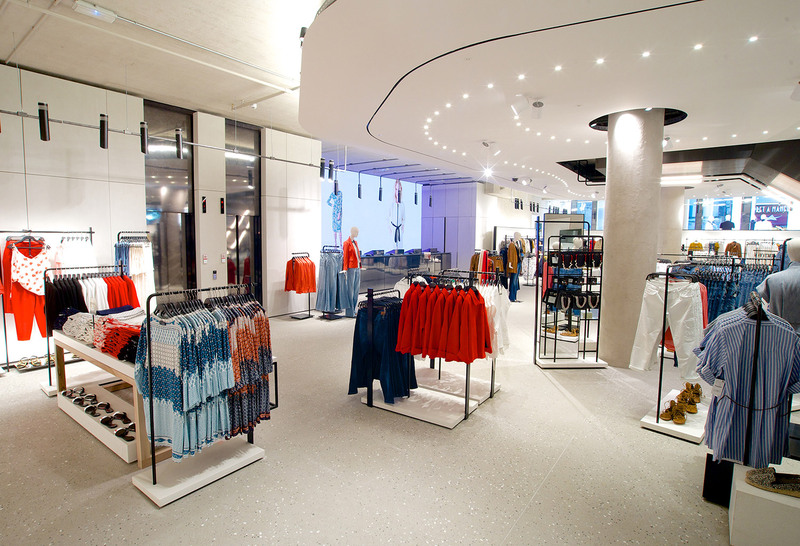 The best retailers manage to tailor their act according to the location in which they set up shop. 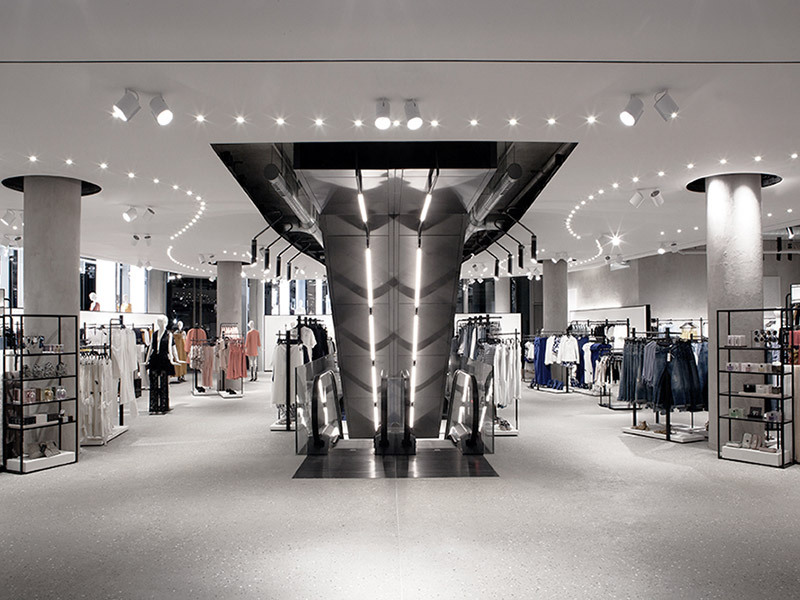 Zara has done that with this store, at least in terms of the internal and external architecture. It is no coincidence that Elsa Urquijo is behind Zara’s Flagship stores. 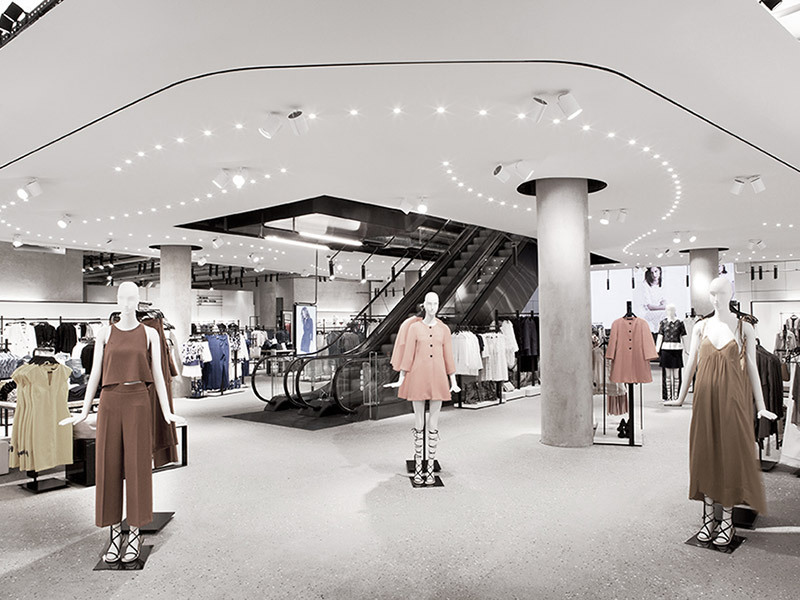 Once again, she demonstrate the ability to create a flagship store that not only fits into the location – It stand out as a unique shopping space and highlights Zara as the world’s leading clothing brand. The floor finish is rough. 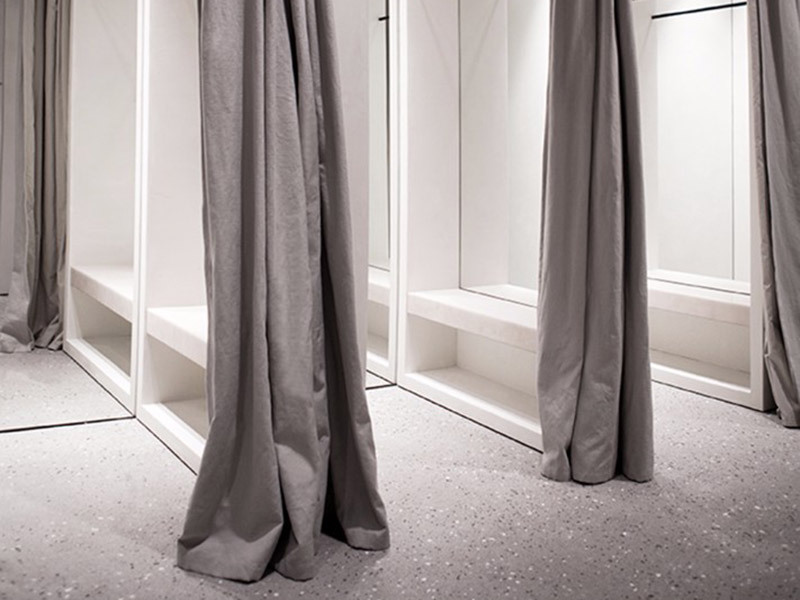 “The design in this shop is made to give an Industrial appearance”, says Maria Veiga, part of Elsa Urquijo’s design team. The hard, seamless floors and the bare concrete pillars are essential for the workmanlike expression in this brutalist piece of architecture.